I've been busy the past two weeks writing some articles for work that I have not updated this blog for a while. On top of that, the kids are still on summer vacation and add a handful to my busyness. But then, I really wanted to spend some relaxation time with the kids. We were planning to go to Bicol, but did not push through. So, we just decided to have a one day swimming getaway near the metro. 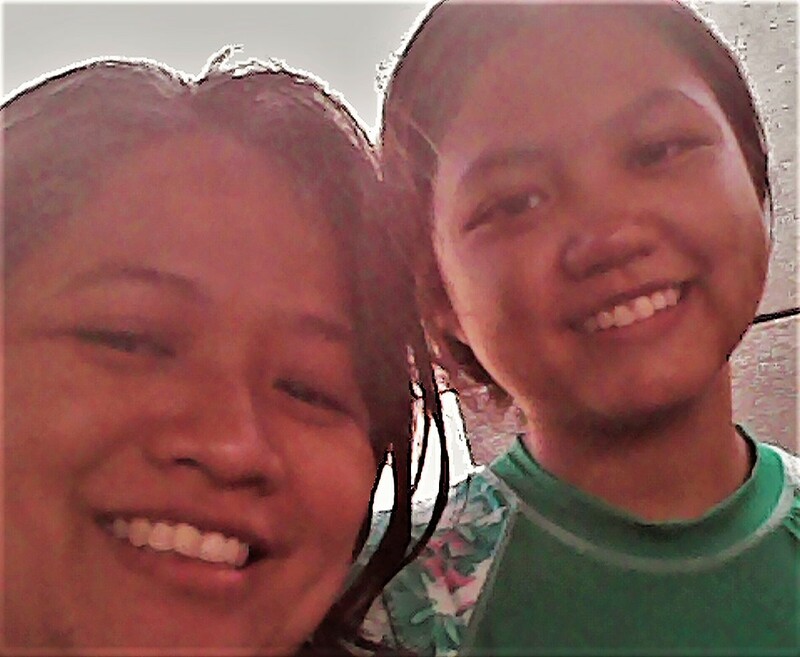 Last Monday, the day after Mother's day, we got up early to travel to Pansol, Laguna. 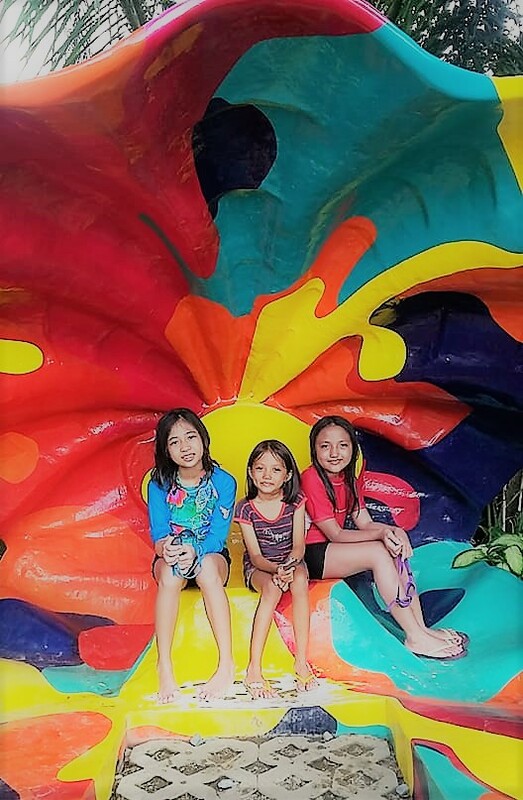 My family traveled together with my mother-in-law and sister-in-law and her daughters. We left Pasig at about 6:00 am and arrived in Pansol, Laguna at about 8:00 am. We decided to go swimming in a hot spring resort because we know Nanay (my mother-in-law) will enjoy it. Initially, we planned to go to Monte Vista Resort but ended up looking for alternative resorts. We went to 3 or 4 different resorts and really liked the last one we checked out -- It is called Southwinds Resort. 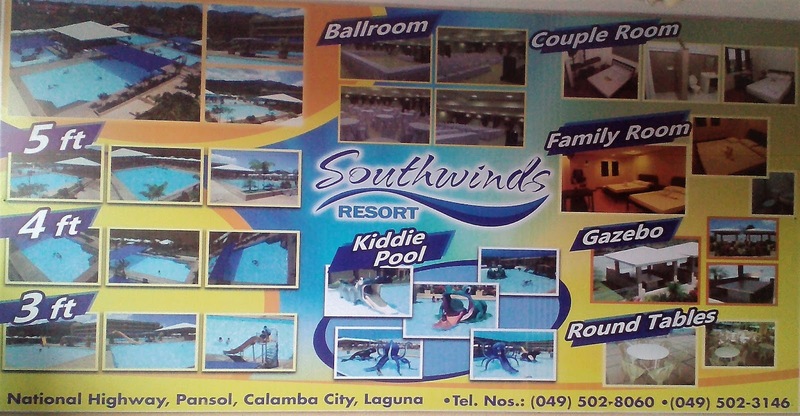 Why did we choose Southwinds Resort? THE RESORT IS VERY CLEAN. The hot pool water is clean. The pool itself is clean. You don't see discolored tiles unlike in the other resorts. The three toilets are clean. We saw the resort staff cleaning the toilet and the pool during our stay and they did a good job. 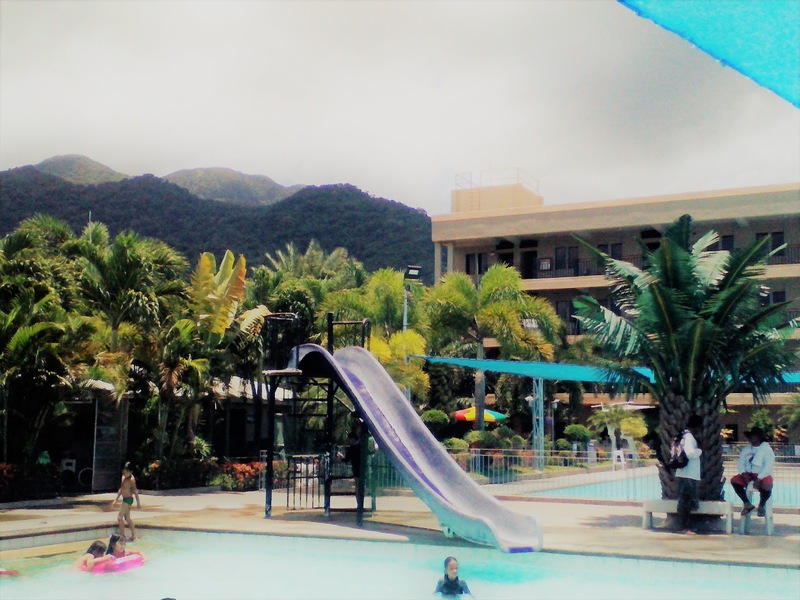 No wonder Southwinds Resort has received the award as one of the cleanest resort in the area. Cleanliness is primary reason why we were attracted to try Southwinds Resort. But below are three more reasons why this public resort is a good choice. THE WATER IS HOT. 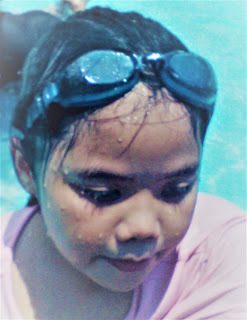 Many of the resorts - public and private - in Pansol, Laguna have warm water only. It was not so before. According to a guy we talked to, something happened that changed the temperature of the water. But here in Southwinds Resort, the water is still hot (not too hot). It is the kind of hot that we really like, especially my mother-in-law. THERE IS A GOOD NUMBER OF POOLS. There are two kiddie pools with animal slides. 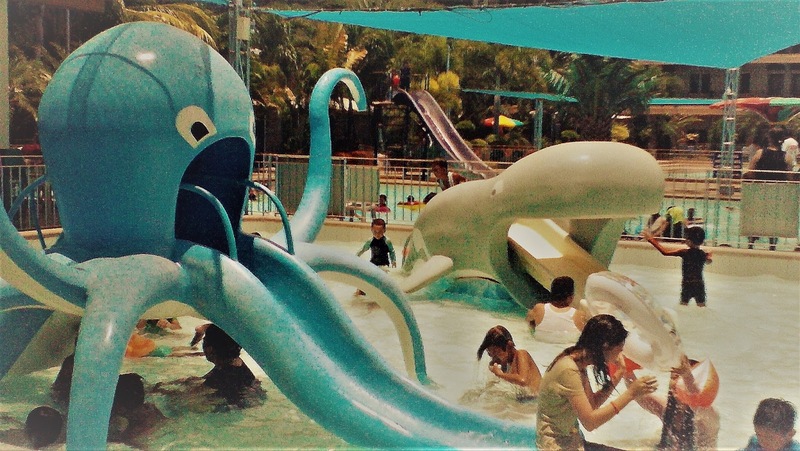 Then, there are pools that are 3 feet, 4 feet and 5 feet deep. If I count it right, the total number of pools is 5. Even though there are plenty of people that went there, there's enough room for everyone. THERE ARE GOOD AMENITIES AVAILABLE. There are many gazebos around equipped with table, sink, chopping board, knife and grill if you want barbecue. You can also use the electricity if you bring your rice cooker, for example, but you need to pay P100 extra. There is a canteen selling meals and a store selling softdrinks, ice cubes and other stuff. But if you don't want to buy, you can bring your own food. 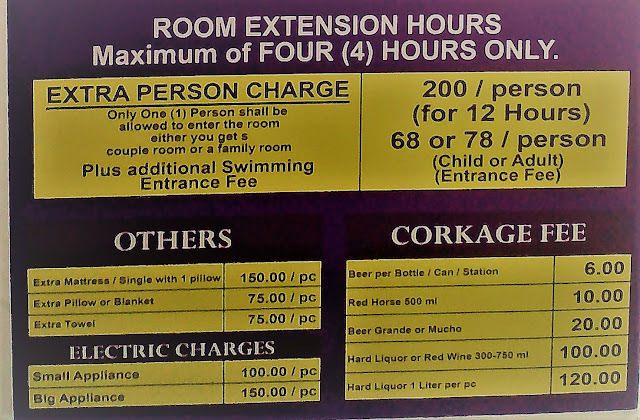 If you bring alcoholic drinks, you need to pay corkage fees. If you like singing, then you can sing your heart out using one of the videokes around. 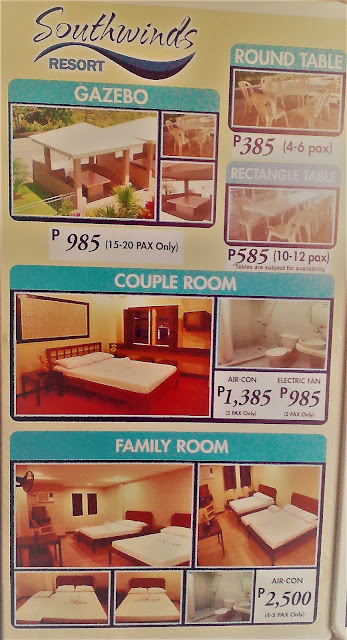 The resort also has a condotel where guests can rent aircon and non-aircon rooms to stay in. There are lifeguards around making sure that the kids are safe in swimming. They are not that strict in implementing a swimming attire, though. But if you have the swimming attire, it's best to wear that. We only brought some food for breakfast and had rice and adobo for lunch. There were also snacks for the kids to eat in between swimming sessions. 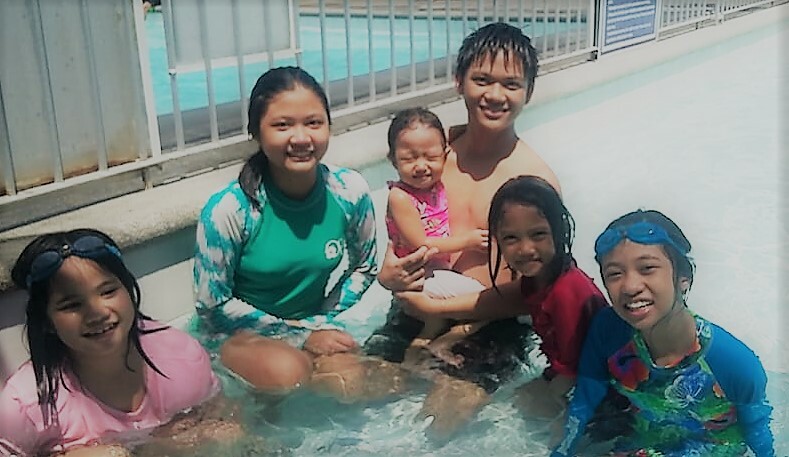 The kids had fun swimming in the pools. They liked the slides. 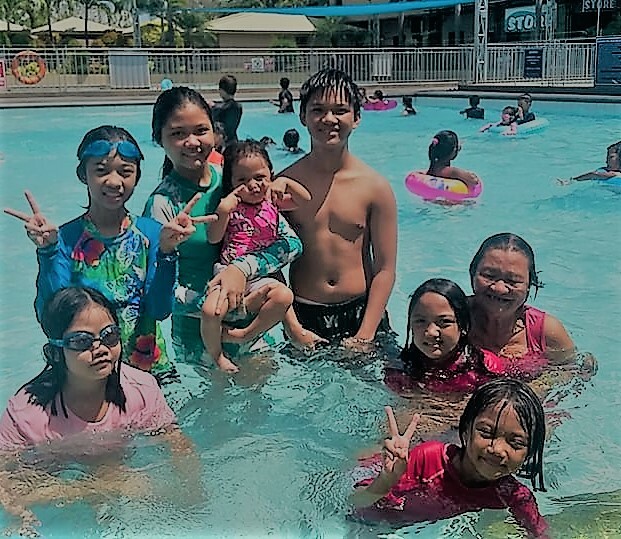 The grown-ups also enjoyed -- mostly dipping and swimming in the warm pool water. The ambiance of the resort is very relaxing. 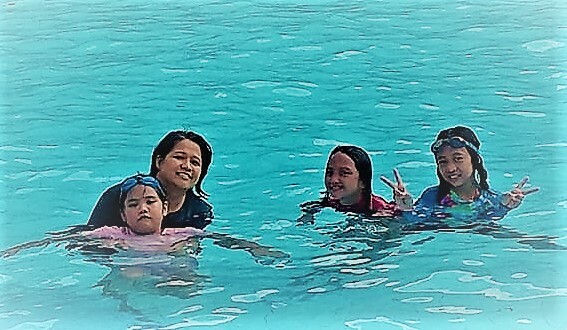 If we go back to Pansol, we will definitely choose Southwinds Resort again (assuming they maintain the quality of service). Maybe next time, we'll go for an overnight stay. 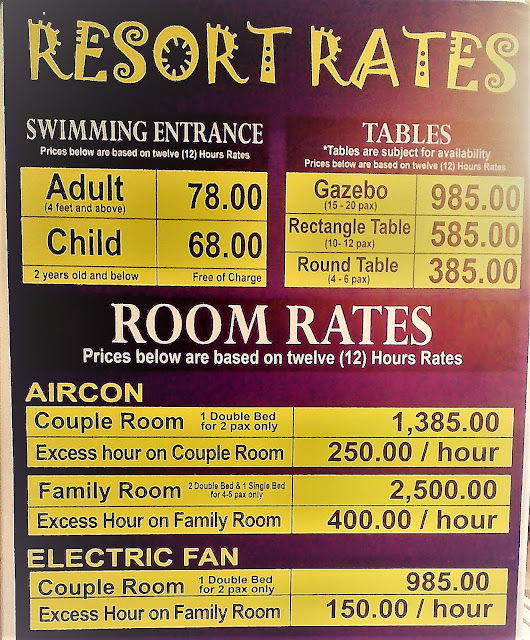 If you'd like to go there, here are snapshots of information (Southwinds Resort Rates and Services) you might like to know. I think the fees are reasonable and affordable. 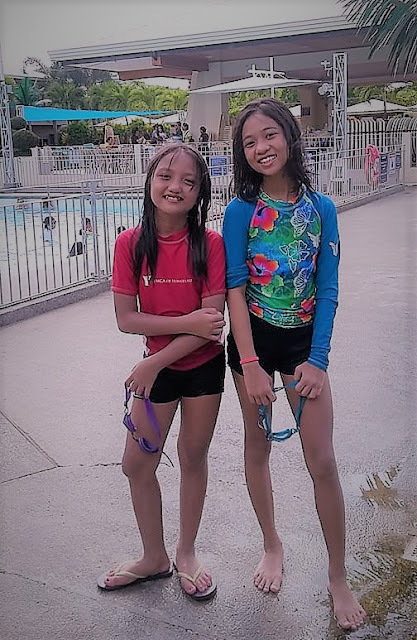 Do you know of any good resort (private or public) in Pansol, Laguna? Feel free to mention it in your comment below. This looks like a really nice place to go for swimming. I've been looking for a place to go with our kids too. Nice to know that the place is clean and affordable too! 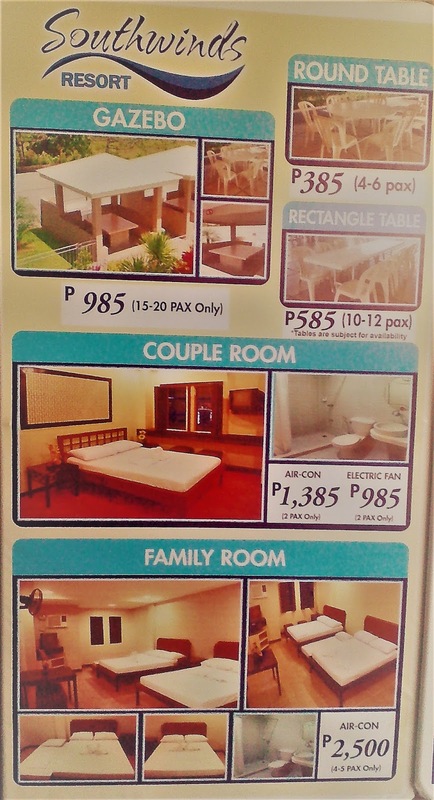 Nice resort indeed and the rate is very affordable pa. My son loves the hot spring in Pansol. When we had our company outing 2 years ago there, he can never forget that. Lagi nya sinasabi we'll go back there so I think you just gave me a great idea. Thanks.